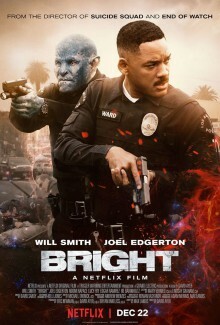 Join LatinoScoop at an exclusive advance screening of BRIGHT in select locations below. Register for a chance to win a pair of seats at the advance screening in your city. LatinoScoop will randomly select winners in each city. Winners will receive a pair of GUARANTEED seats (seats MUST be claimed by 6:45PM). To enter, please send an email to screenings@LatinoScoop.com with your name, email and phone number. Enter your city name in the subject line. Winners will be selected and notified via email on Monday, November 13. Winners names will NOT be posted. Advance screenings will take place in the following locations listed below. All advance screenings will take place on Monday, December 18 in all locations listed below.